"A junior doctor who went missing last month was "increasingly depressed" about the state of the NHS, her colleagues said. Lauren Phillips, 26, was last seen on February 23rd 2017. A search was mounted after she failed to turn up to work at Bristol's Southmead Hospital on February 26th 2017. Her car was found two days later in the North Devon seaside resort of Woolacombe. HM Coastguard, the RNLI and the National Police Air Service have all joined the search for her. A male colleague said Dr Phillips regularly worked late and was concerned about the future of the NHS. The co-worker, who asked to remain anonymous, told BBC Devon: "She works crazily hard. On Facebook she was getting increasingly depressed with the state of the NHS." Dr Phillips, a talented violinist who played with the Bristol Symphony Orchestra, had also written Facebook posts attacking Jeremy Hunt and changes to the junior doctors' contracts. She joined pickets protesting against the new contracts in January last year. Detective Inspector Mark Langdon, of Avon and Somerset Police, said: "We continue to do everything we can to find Lauren and we're making sure her family are regularly updated about our investigation. 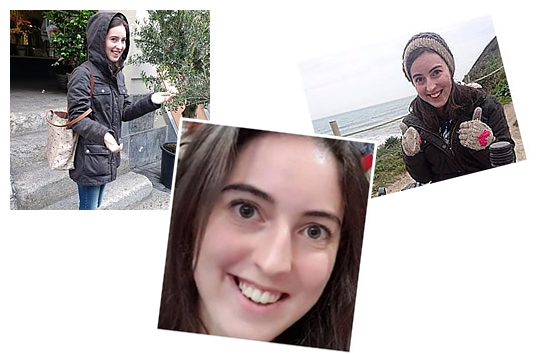 "As Lauren's car was found in Woolacombe our focus has been on the North Devon area and so we're directing our appeal at any surfers or ramblers who may have passed through the area in the past fortnight." North Bristol NHS Trust said it would not comment on any possible work-related issues involving Dr Phillips. A spokesman said: "At this point in time our concern is with helping the police to find Lauren, it would not be appropriate for us to say anything more at this time." Dr Phillips is white, 5ft 5ins tall, of slim build with brown eyes and long dark brown hair."